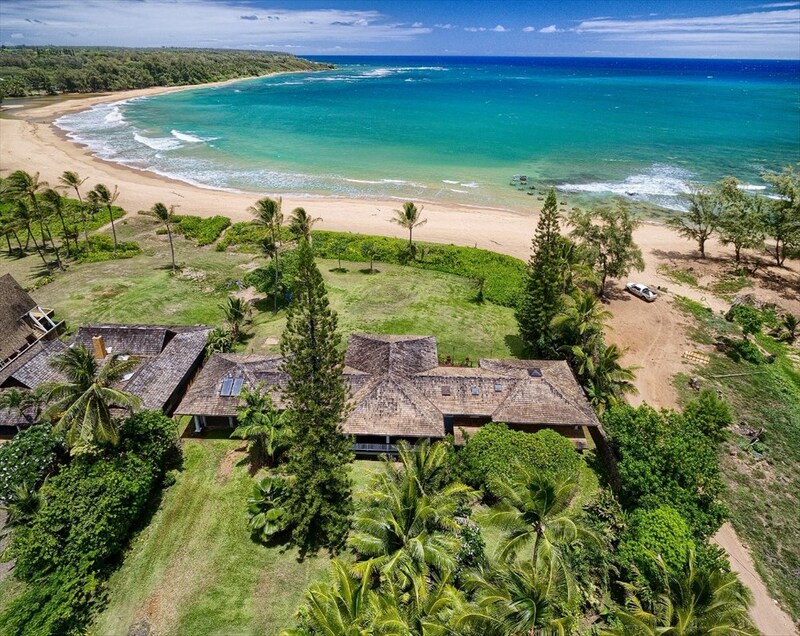 This is a perfect opportunity to own a resort condo just a short stroll from Shipwreck Beach on Kauai's South Shore at a cost far below other units in the same complex. Enjoy a pleasant view of the expansive greenbelt instead of an ocean view and save $$$,$$$ on the purchase cost! All but those who want to spend their entire vacation indoors on the sofa are are sure to be pleased by it's close proximity to the beach and the easy access via the greenbelt. 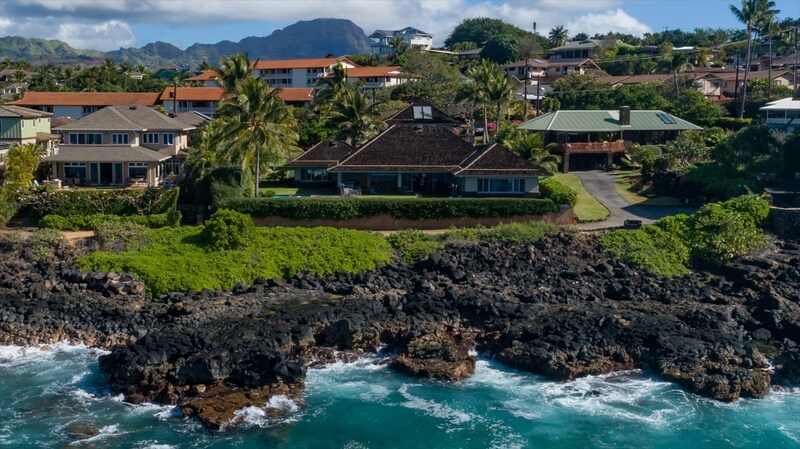 It's located on Kauai's South Shore in sunny Poipu and is part of the popular Poipu Kai resort community. 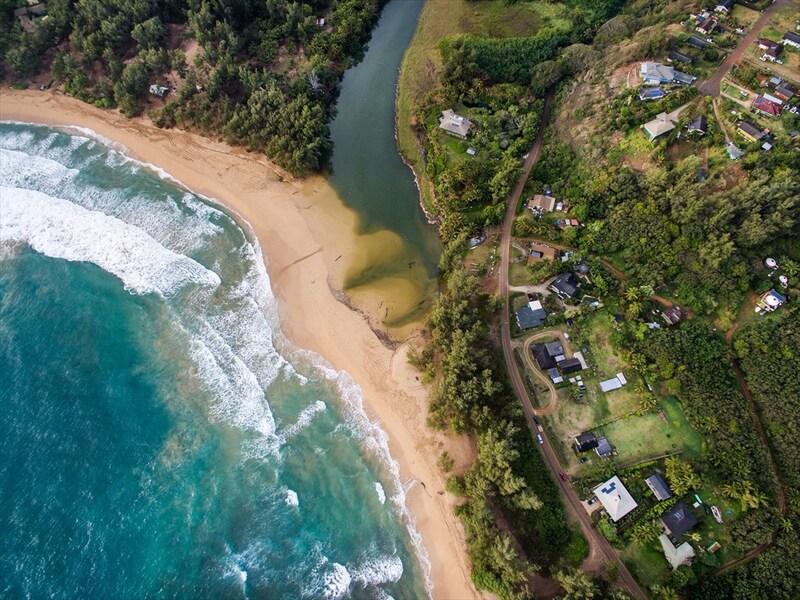 Poipu is famous for sunny skies, sandy beaches, golfing, great restaurants, and more. Poipu Beach Park is world-famous and the more remote Mahaulepu Beach is a real gem and a favorite of many. 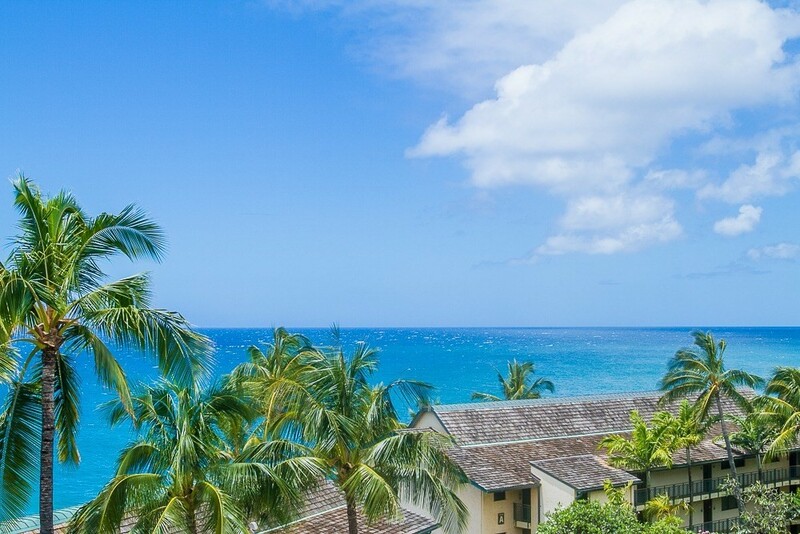 This condo is located in building 4 at the ocean end of the project facing the beautifully-landscaped greenbelt with its meandering paved pathways leading to spectacular Shipwreck Beach just a short walk away. 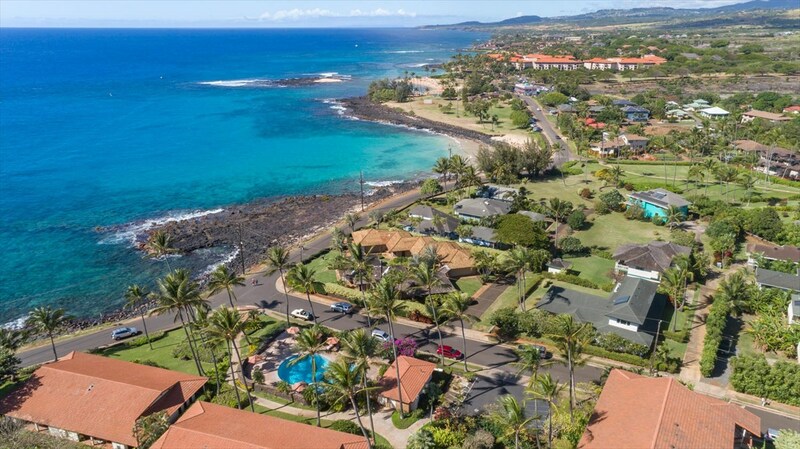 Spacious grounds include a picnic area with tables & BBQ, a large swimming pool some say is Poipu's best, and a tennis court. 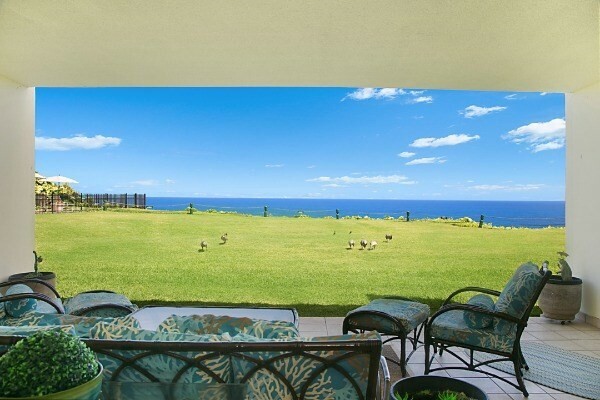 Poipu Sands is known for being well-kept with high standards which are apparent throughout. 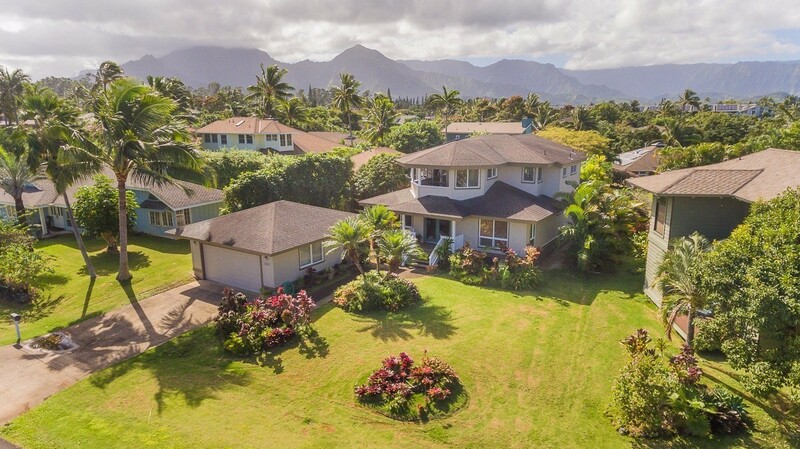 Elevated from the street grade, this home is perched high on a corner lot with expansive views towards Poipu and mountain profiles to the east. 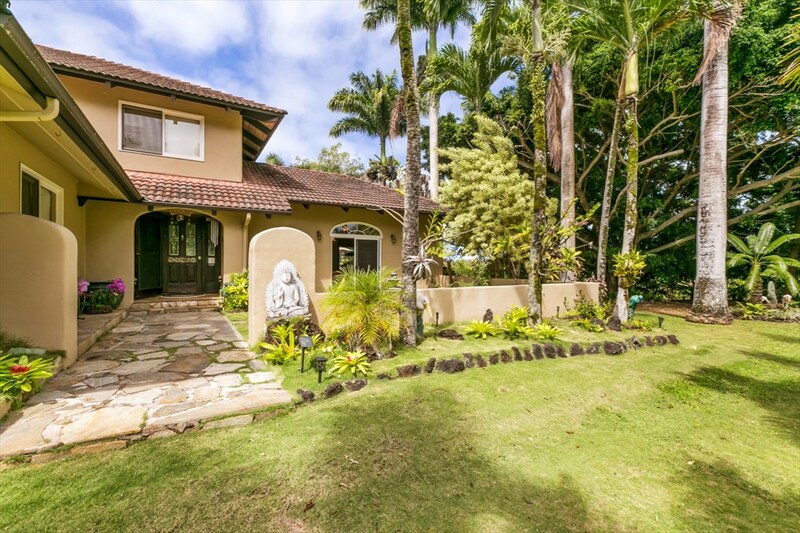 Delightful and styish three bedroom home in neighborhood-friendly Kai Ikena. Recent roof, flooring and fixture upgrades. This is not a CPR and enjoys an ample yard with some fenced, secured areas that are pet friendly and safe. Easy to show. This is a newer 2 story home with a lower unfinished level and with lots of curb appeal.. The main floor has the kitchen, dining, living areas as well as 2 bedrooms and a bath. The upstairs consists of the master bedroom/bath suite. Downstairs is only framed in and may affect financing options. There is a large deck and an ocean view. Trimming a tree would widen/enhance that view. There is a lack of interior photos due to some old personal possessions still being there. Interior square footage includes unfinished lower level. 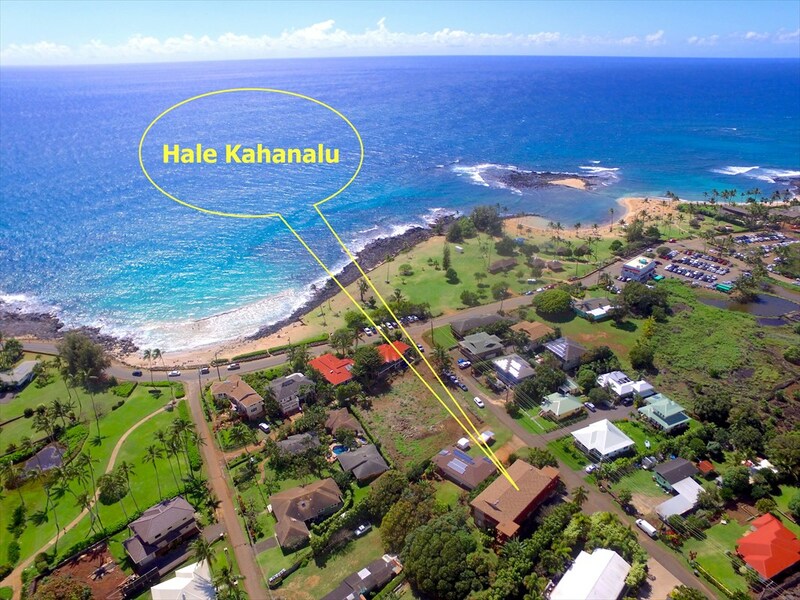 Kakela Makai Oceanview Subdivision, includes several amenities! There is a large pool, a hot tub, an exercise room, and a clubhouse for owner's use. HOA fees are $400 due twice a year. All offers must be submitted by the buyer’s agent using the online offer management system. A technology fee will apply to the buyer’s agent upon consummation of a sale. Proof of funds or preapproval letter needed with any offer. SOLD AS IS. 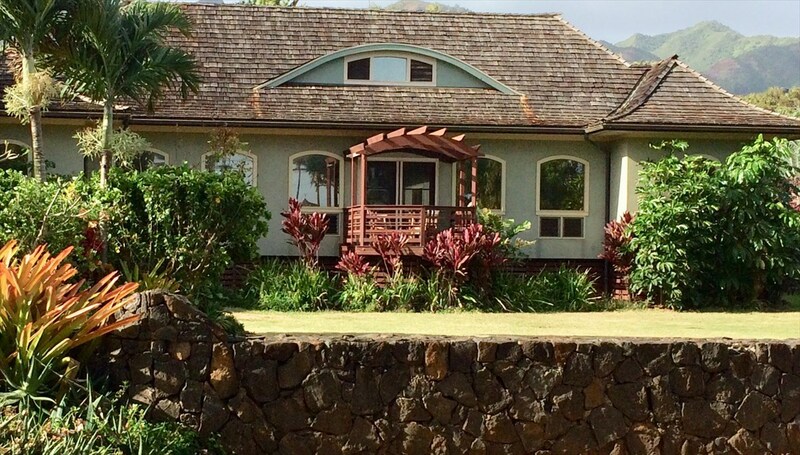 Great Family House with Guest Cottage in Lawai. 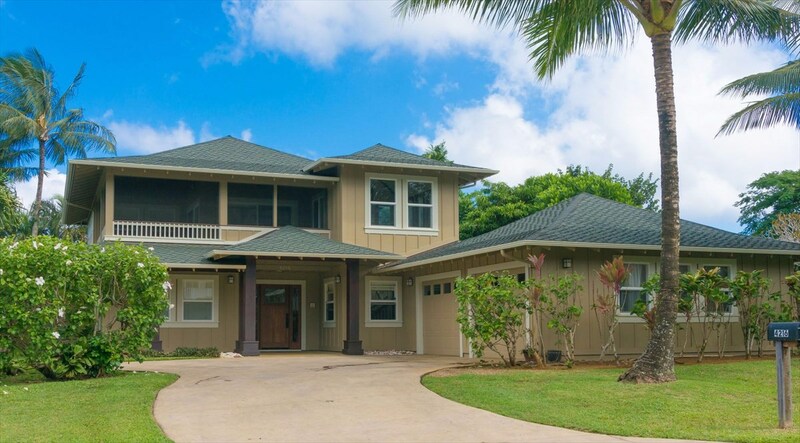 Main house consists of 3 Bedrooms & 2 Bathrooms totaling over 1,500 sf. 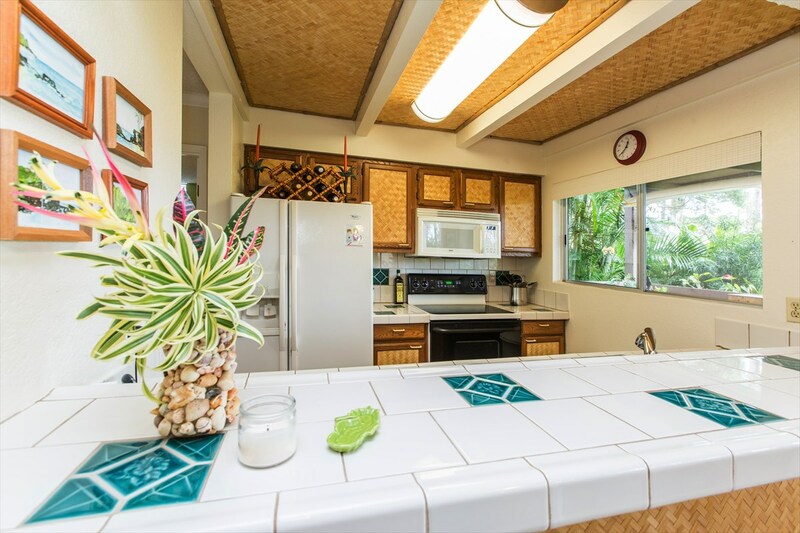 Cottage consists of 1 Bed/1 Bath with a kitchen that opens to a nice living room & lanai. The Cottage can be for Family or a nice rental if a Buyer desires to go this direction. Property is located at the end of a very Private road with limited to no traffic. Mature landscaping with “County of Kauai Fair Award Winning Fruit Trees” is another bonus. 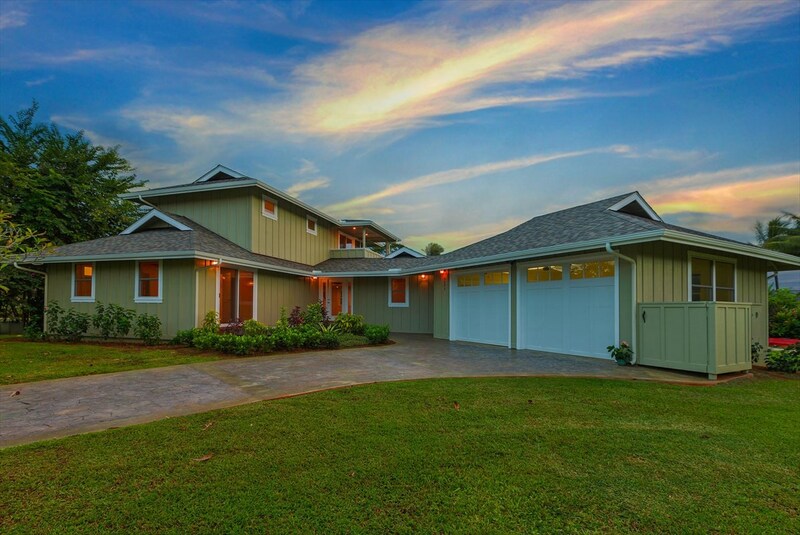 Very comfortable floor plan and usable covered lanais add to the square footage. Priced to sell!! 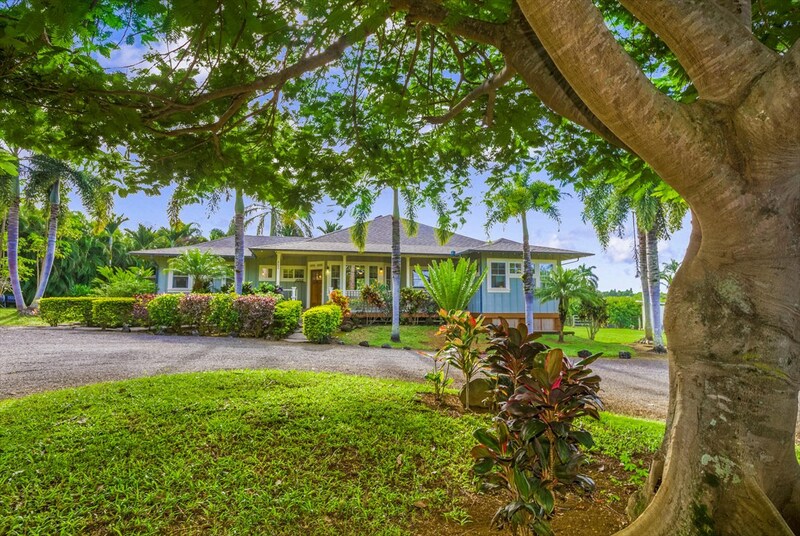 Charming Home located off of Koloa Rd on the Kauai's Sunny South Side. 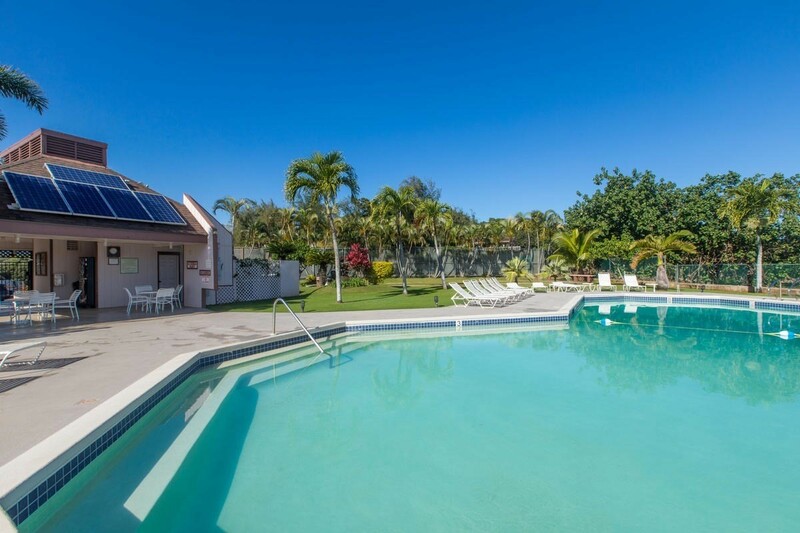 2 bedroom/2 bath single level home with a swimming pool and view overlooking a tropical reservoir landscape. Spacious great room offers a gourmet kitchen and cozy living and entertaining area with beautiful water, pool and mountain views. Private back yard with decking surrounding a full size in ground swimming pool for exercise and relaxation. 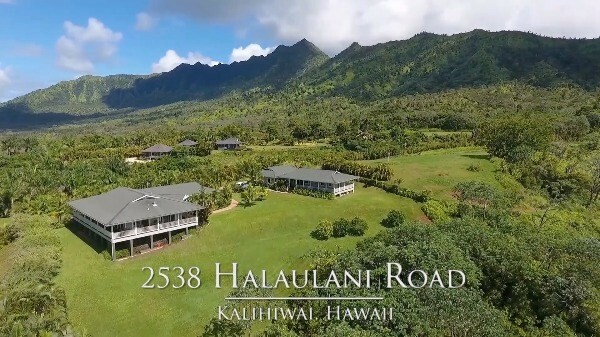 Within 3.9 Miles to Kukuiula Shops and only 5.2 Miles to Poipu Beach Park to enjoy the best restaurants and beaches on Kauai. Tmk: 4-2-5-10-53 which is additional land between the reservoir and parcel 15 is also conveyed with the sale of this property. 3 bedroom 2 bath ranch style house on a fairly level 11,413sf lot. 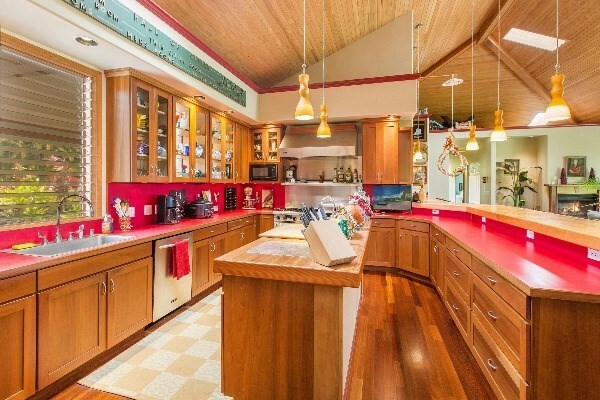 Open floor plan kitchen is a cook's paradise. Good size workshop to store tools and build your projects. The front yard fenced with space for gardening, playing and guest parking. Older home, needs "TLC", interior walls is an expression of art. Priced to sell immediately and sold "As Is". Shown by appointment only. Recently remodeled 2 bedroom 1 bath ground floor unit with a small, private fenced in yard perfect for entertaining or the family pet. Recently renovated kitchen and bathroom with new cabinets and tile floors. Washer/Dryer just 2 months old. Fresh, clean and convenient! 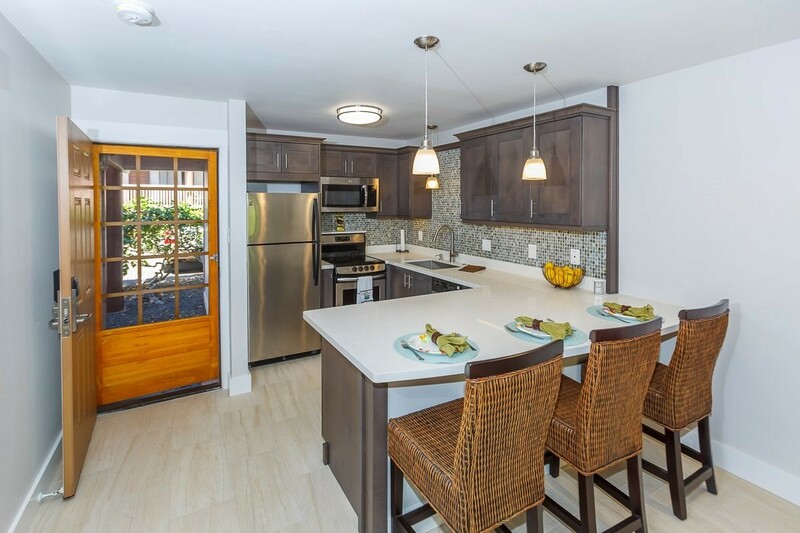 Cool and airy townhouse unit in central Lihue near college, Kukui Grove Mall, new Hokulei Shopping Center and Costco. Pride in ownership is evident in this owner-occupied 3-bedroom, 2.5 bath duplex townhouse condominium with a secured 2-car enclosed garage. Developer options such as recessed entertainment center wall for extra living room space and coffered ceilings in the living room and master bedroom suite giving the rooms extra style and ceiling height. 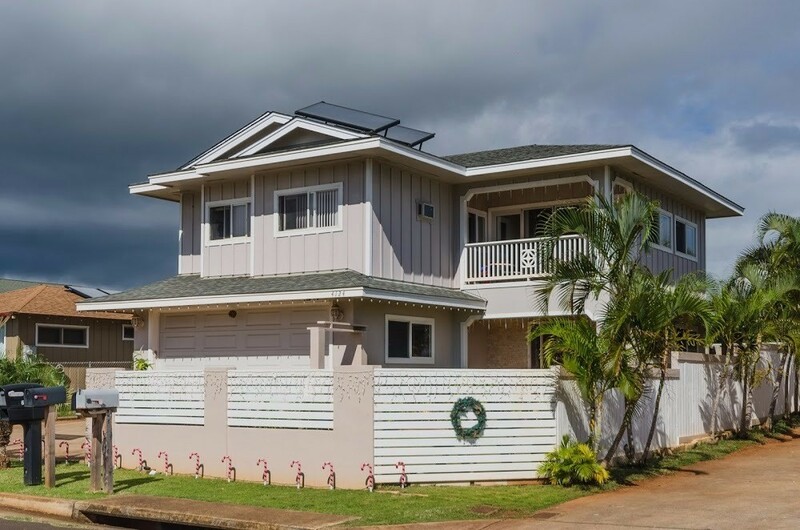 Oversized fenced in lanai area This building enjoys ample green belt spacing between neighbors and is conveniently located at the wide-street entrance to the Villas making for easy ingress and egress. 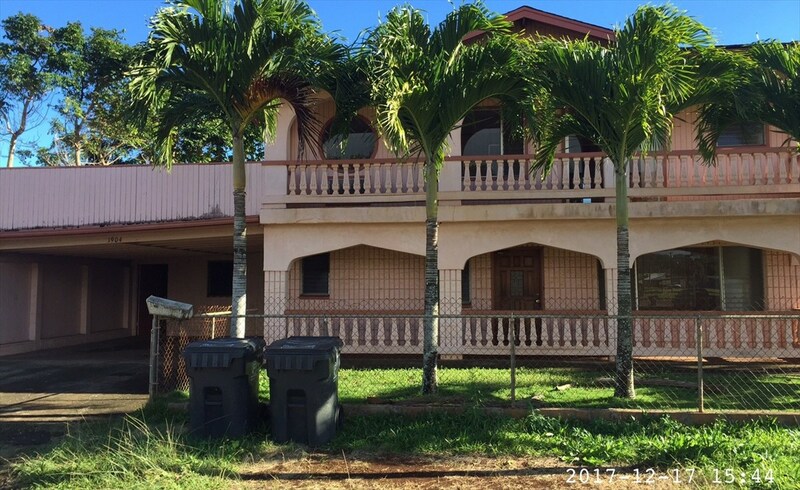 Located on the corner of Puhi Rd and Leleiona St in the Puhi Subdivision this 2 story home has 2 electric meters and one water meter. 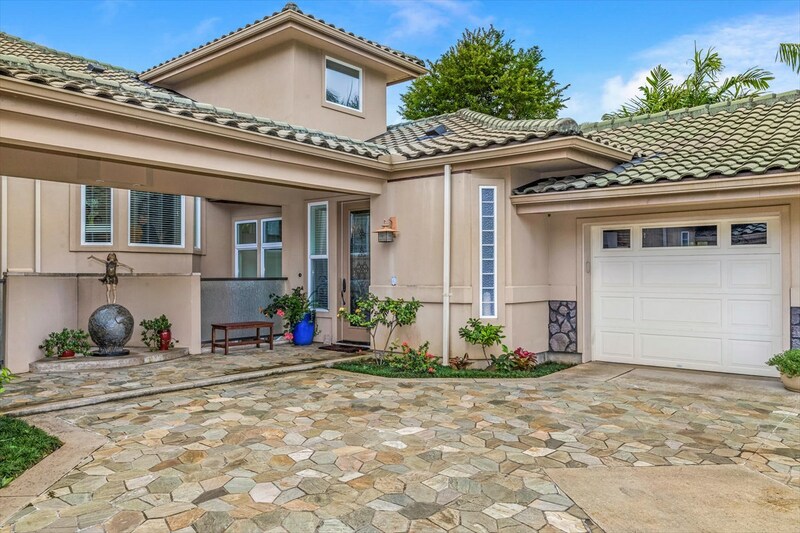 The Public Record reflect this home as a Single Family with 6 bedrooms and 3.5 baths. This differs from its current layout of 2 units with 5 bedrooms, 3 baths, and kitchen downstairs and 3 bedrooms, 1 bath and a 2nd kitchen upstairs. There is no information available from Dept. of Health regarding the wastewater system. Tent fumigation completed 11/21/17. Needs work throughout. Freddie Mac REO being sold as-is, Cash or Portfolio Loan (not contingent upon the condition of the property). Freddie Mac / HomeSteps Property: Eligible for the Freddie Mac First Look Initiative through January 24th. Seller offers their own Disclosure Statement - Exempt from NAR Seller Disclosure Property is being offered AS IS, WHERE IS Actual living area bedroom/bathroom count may differ from records. Buyers encouraged to do their own due diligence. 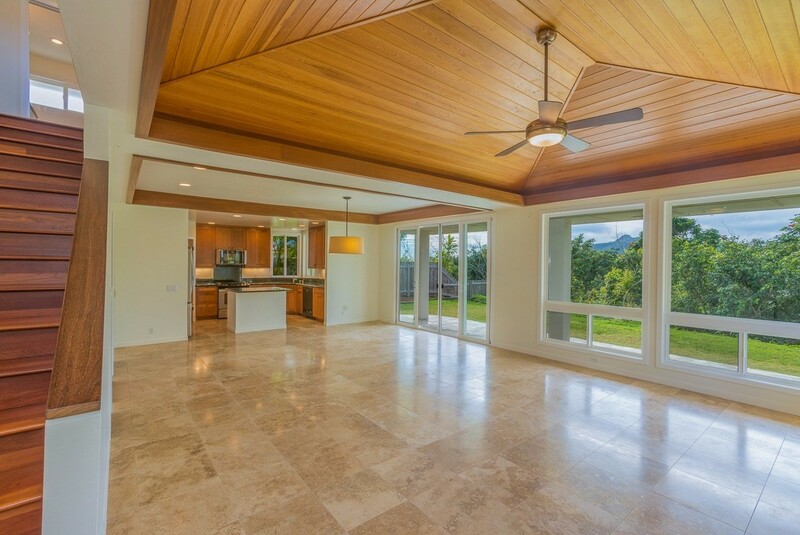 Gorgeous Golf Course, Lake and Mountain views from this very spacious home located in the Ulu Ko subdivision in Lihue. 2 bedrooms, 1.5 bath upstairs and 2 bedrooms and bath downstairs along with 2 additional rooms and laundry. Special features include: * Breathtaking views of the Golf Course, Mountains, Golf Course Lake and a peak of the Ocean * NEW Roof installed in 2016 * High Ceilings in the Living Room and Kitchen with Large windows * Spacious Kitchen with Corian countertops, Stainless Steel appliances and lots of cabinet space * Master Bathroom with Granite Counters, Large walk in shower, double sinks and a walk in closet * Master Bedroom with sliding door leading to Lanai and gorgeous views * Recently renovated downstairs area with separate Entrance * PhotoVoltaic * Window AC downstairs * Lots more! Great home in the Ulu Ko subdivision. Don't miss out! 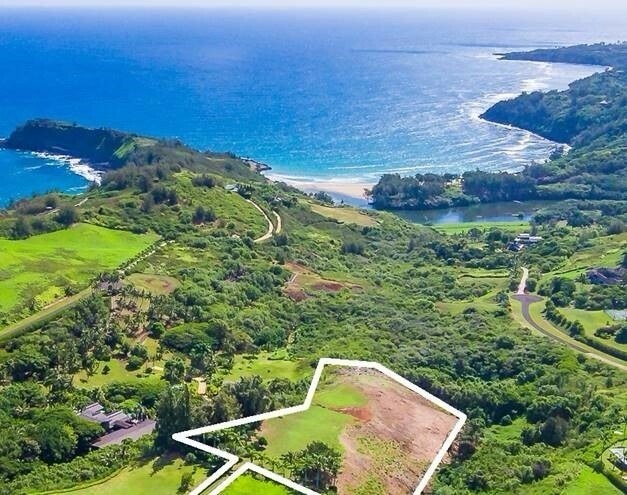 In the Heart of Lihue, on Puakea golf course. Functional and Comfortable. Enjoy the unobstructed mountain views that comes with being situated on the golf course. High ceilings with lots of windows makes the home feel luxuriously spacious. This is Lihue living at it's best. 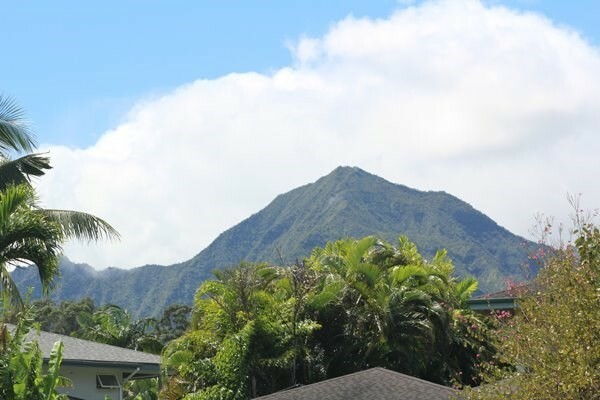 small quiet neighborhood yet close to all that Lihue has to offer. Being in the center of the island allows you to enjoy the entire island with the North and West ends of the road at almost equal distance. 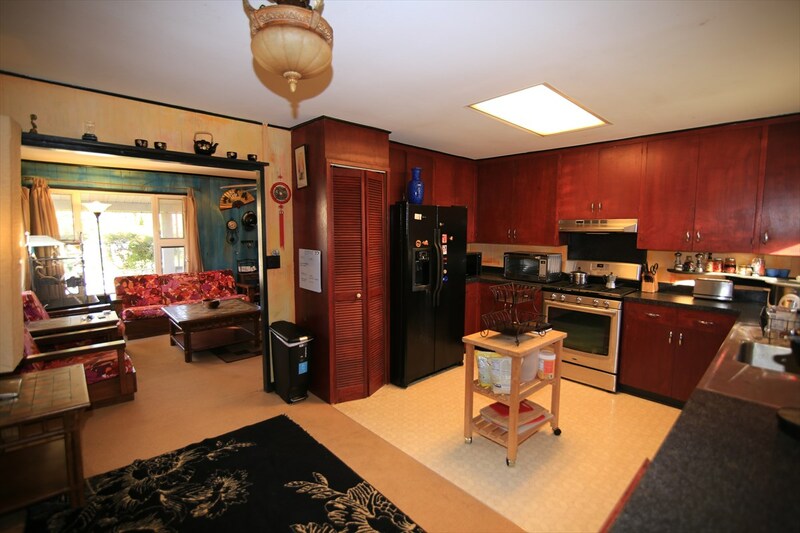 This home boasts a Large Kitchen with pass through to dining room, living room with 2 story ceiling. Master suite upstairs with catwalk over looking the dining and living room on your way to the office with full bath. 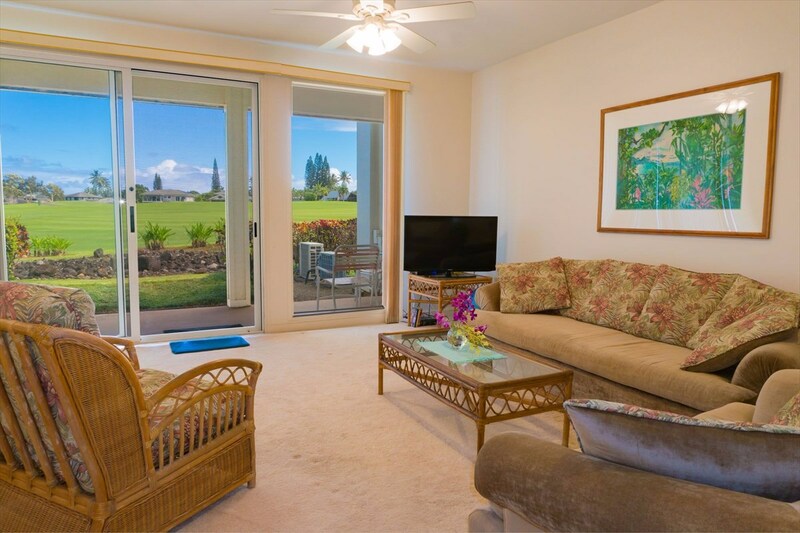 From the covered lanai or master suite balcony, you will enjoy unobstructed views of the 8th tees of the Puakea Golf Course that include the majestic Haupu mountain range in the backdrop. 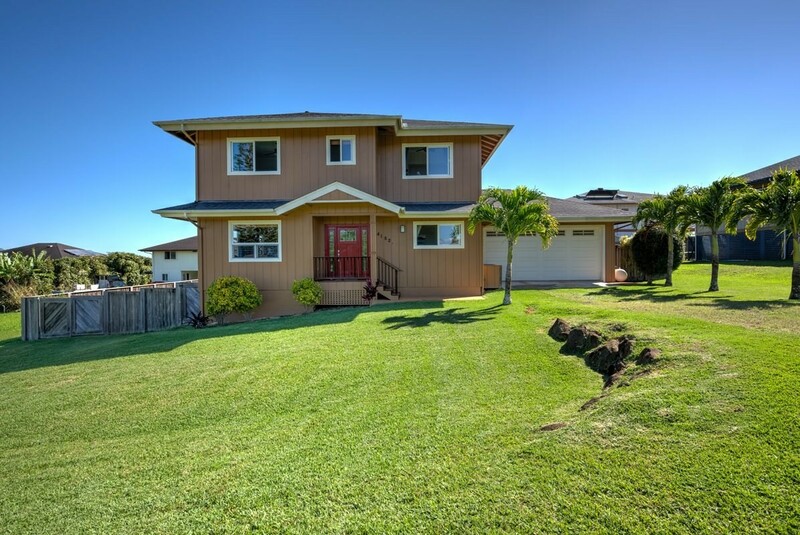 This is a beautifully built two-story home located in Molokoa Subdivision in Lihue and is only 8 years old. Location allows for a quick walk to Rice Street with restaurants and shops, Wilcox Elementary School, the Convention Hall, Parks and more. 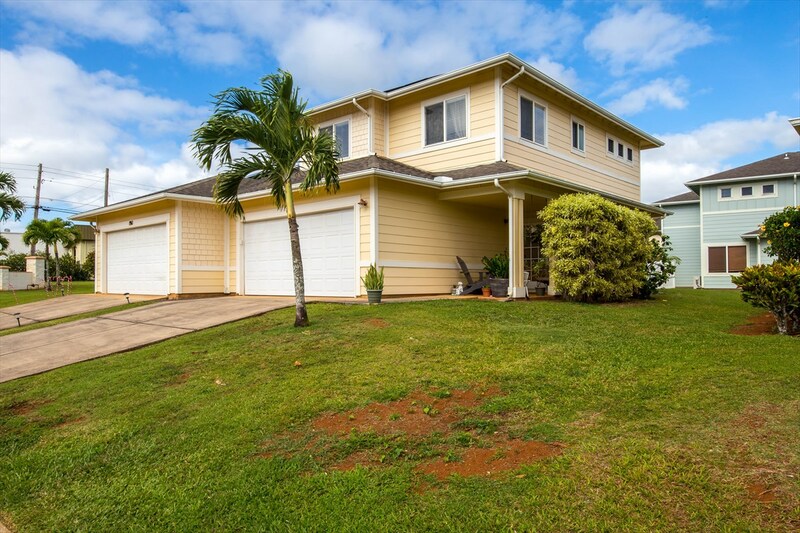 A very close drive and possible to walk to Wal-mart, the Lihue Airport and Wilcox Hospital. Downstairs features a 2 car garage, kitchen with granite countertops and stainless steel appliances, living room, a half bathroom and back yard covered patio. 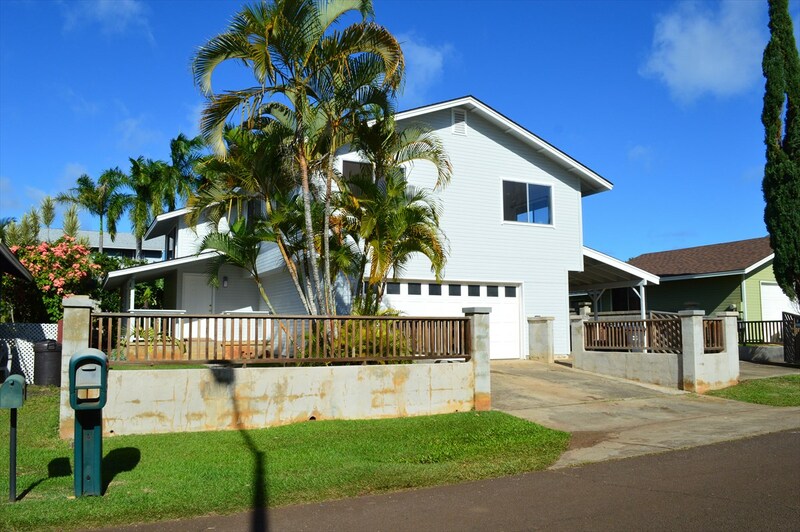 Upstairs features 3 bedrooms 2 baths with a living area and lanai. Air conditioning in all of the bedrooms! 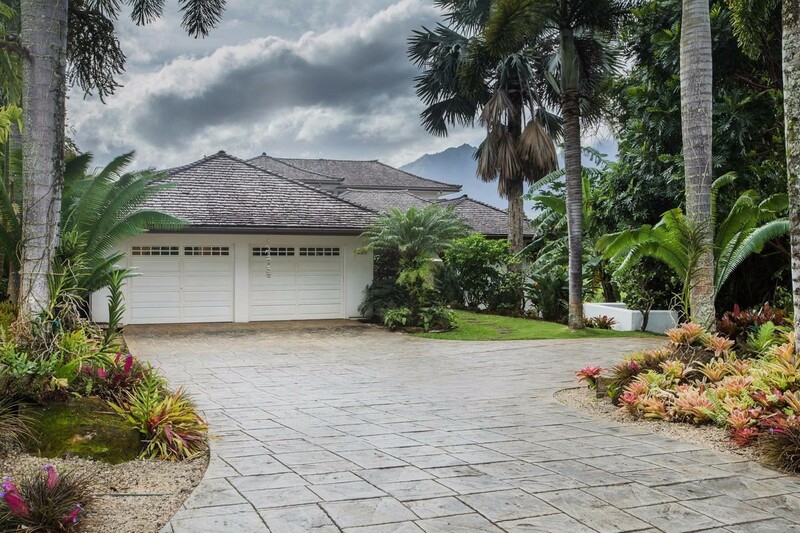 Total square footage including the garage and lanais is 2,559 sq. ft. This property is part of a 2 unit CPR and has been very well kept by the owners who built this home. Open House this Wednesday 1/17/18 from 9am-3pm. 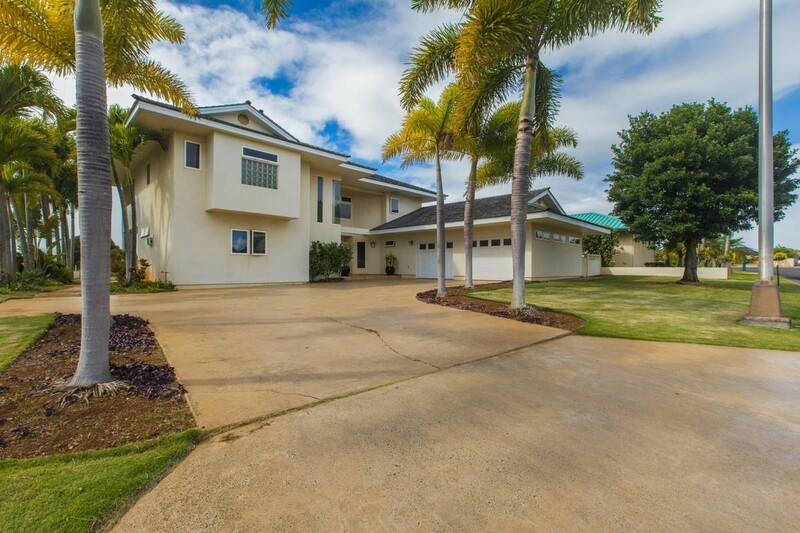 Nicest home under $1 million on Kauai. This beautiful piece of craftsmanship was built by a high end contractor for him and his family 8 years ago. Features include: 9' Ceilings and vaulted wood ceiling in the great room. Beautiful Brazilian cherry wood floors in the 3 upstairs bedrooms. Travertine tile throughout the rest of the home. Marble counter tops and high end fixtures in all 3 full bathrooms. Stainless steel appliances and granite counters in the kitchen. 440 sq ft 2 car garage. 224 sq foot covered lanai paved with natural quartzite stone. Low maintenance tropical landscaping. Rim lot with valley, mountain, and even a distant ocean view! Don't forget about the owner lock off with its own separate entrance, bathroom and wet bar. This is also the 4th bedroom which the county is calling a family room. The attention to detail, location, and amazing layout cannot be overstated on this quality built home. This unique offering includes a 3 BD/ 2 BA home on over 5 lush acres of land and allows for an additional home, and a guest home! 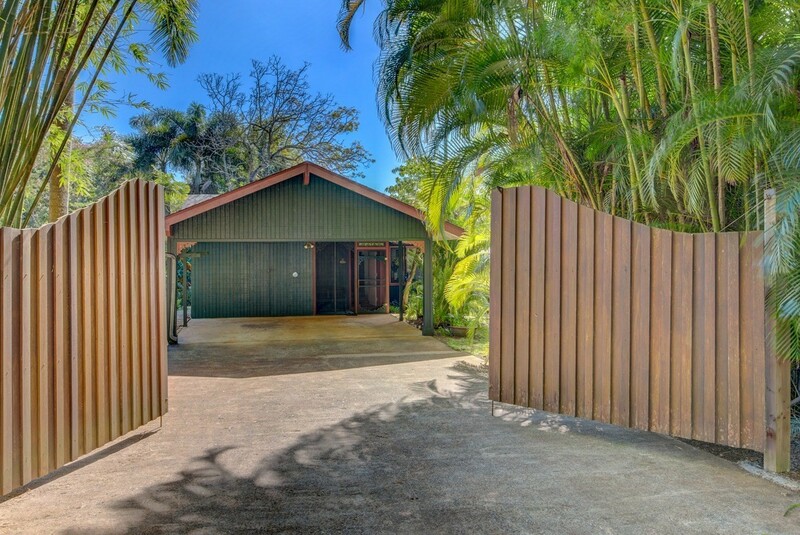 First time on the market in over 25 years, this gated property is an oasis of privacy with a pond, organic garden, multiple fruit trees, rare tropicals, permitted workshop and over 700 sq. ft. of outdoor living. 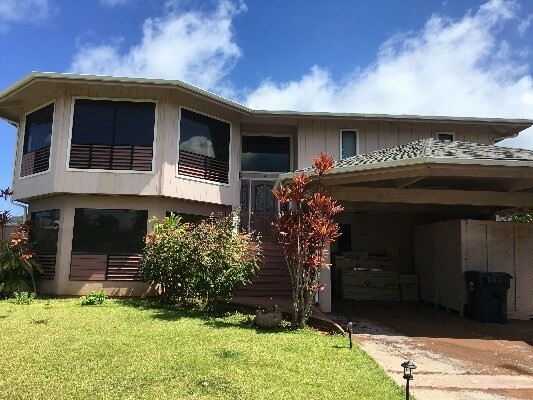 The one-story home features open beam ceilings, hardwood floors, newly remodeled kitchen with solid granite countertops and stainless steel appliances, new carpeting, newer roof, and multiple lanai areas to take in the views. 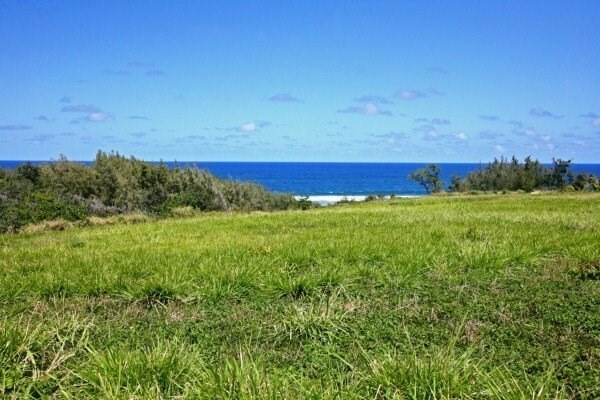 Located in cool Upcountry Kapahi just 10 minutes from downtown Kapaa, in a peaceful cul-de-sac neighborhood, this property includes a completed 3/4+ acre CPR lot with a water meter. Sell the CPR'd lot, or keep it and build another home and a guest house. Such a rare opportunity in today's market! Please allow a minimum of 24 hours notice for all showings. Buyers to conduct own due diligence with the county. Listing is for entire parcel: 4-4-6-7-76 units 1 & 2. 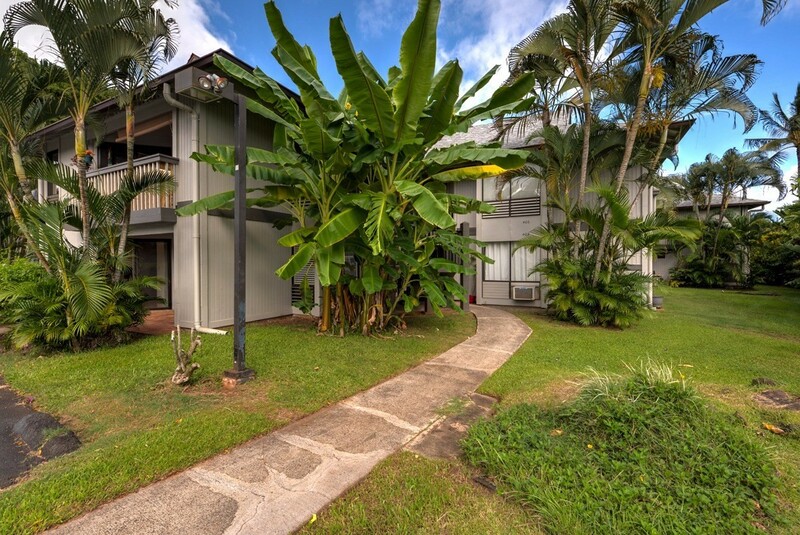 Are you looking for a updated turnkey condo in Princeville? Then look no further. This wonderful 2 bedroom two bath condominium has it all. Pride of ownership exudes here. Each bedroom has a king size bed and has it's own bathroom. This condo boast tile throughout with updated kitchen and baths. You are close to the most beautiful beaches in the world. Located in the Sandpiper Condos, walking distance to stores is only 5 minutes and only 10 minutes to drive to beaches. 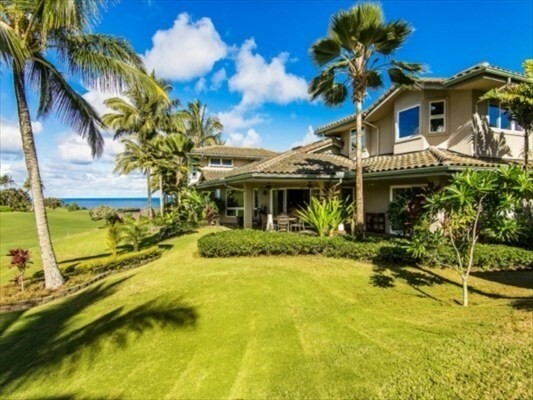 Located across from Makai Golf Course, one of the top golf courses on the island. View of Mount Namolokama, filled with water falls. Very successful vacation rental! 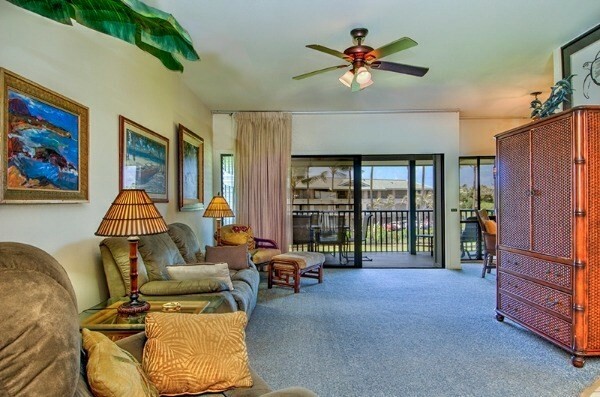 Enjoy the ocean views and warm trade winds from this lovely second floor, top unit (no unit above) condo at Sealodge II. 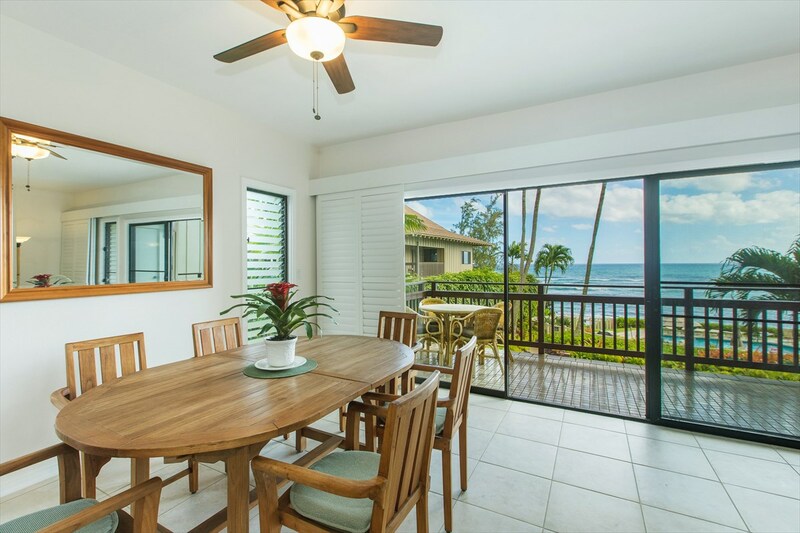 This well-positioned, two-bedroom, two-bathroom unit in the H Building offers ocean views from the living room, dining room, both bedrooms and lanai. 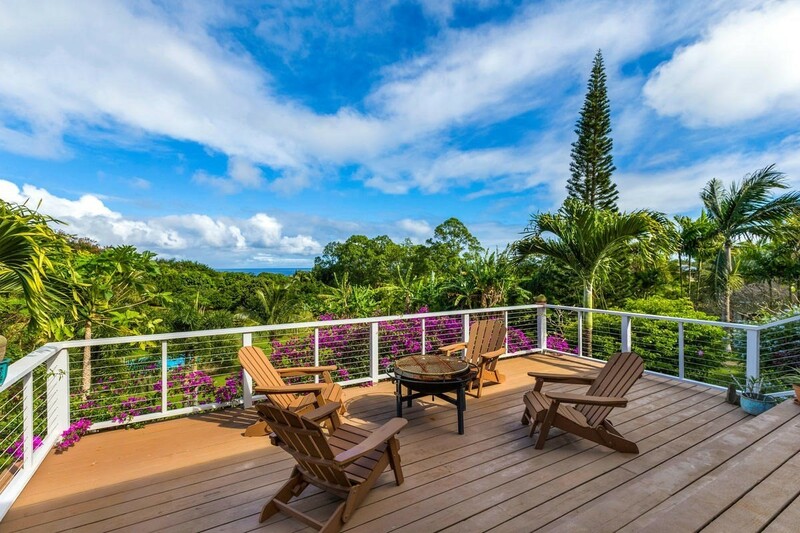 Sip morning coffee or an afternoon cocktail on your own private lanai, or watch for whales during winter months! 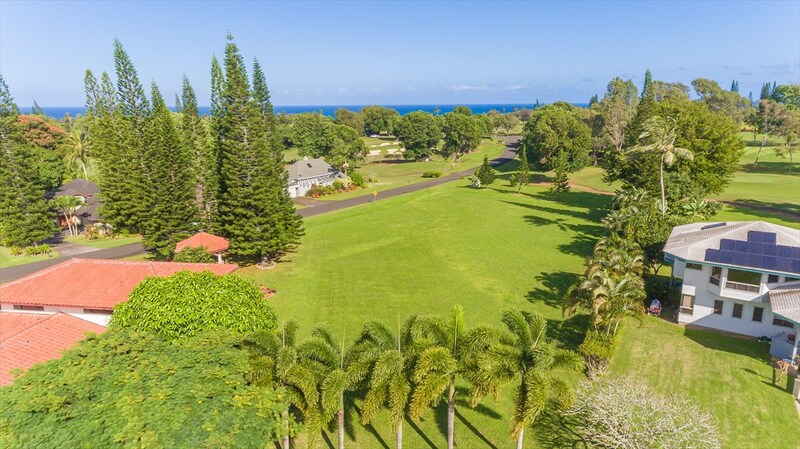 Stroll along the lawn, just steps from your unit, taking in views of the Anini reef and down the coast all the way to the Kilauea lighthouse. Take a short hike down the beach path to secluded Sealodge Beach for fantastic snorkeling! On your return, take a dip in the ocean view pool. #H5 is tastefully decorated, fully furnished and is turn-key! Sealodge makes a wonderful home as a permanent residence, a vacation retreat, or rental property with established rental history. 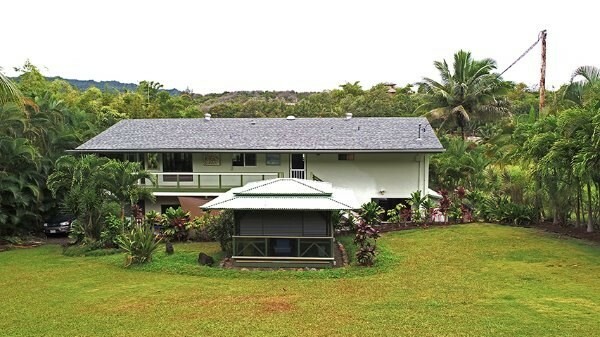 Larger than the average lot it enjoys potential mountain waterfall views, easterly trade winds and established neighbors on all sides. Your utilities are underground and available for connection at the street. You can be as active as you want with paved streets, walk jog paths, community park with play equipment and a activities center. Located on the North Shore your home would be located in the center of world class beaches, water activities, hiking trails and life style. Amenities available for all ages. 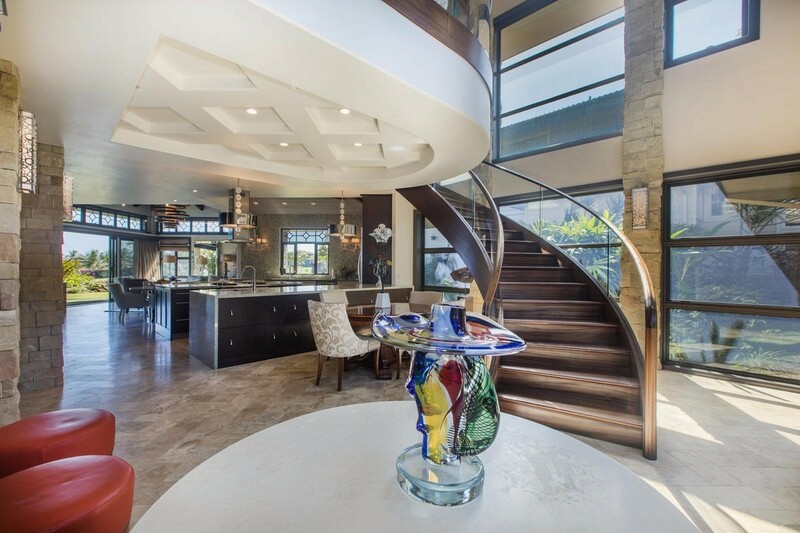 Magnificent,dazzling and breathtaking partially describes this custom built home. 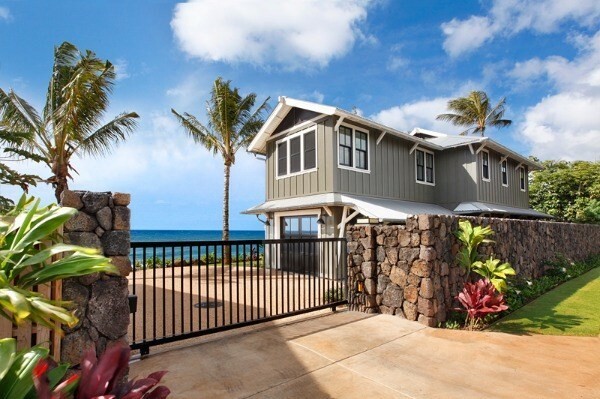 The home has fantastic white water ocean views. It was designed to capture the breezes. Easy living indoors or outdoors. Your own private pool is a step away from the great room.There are 2 master suites upstairs or downstairs, ideal for guests. No expense has been spared when the designer created this.A lot of stone has been incorporated in the home creating a natural setting. 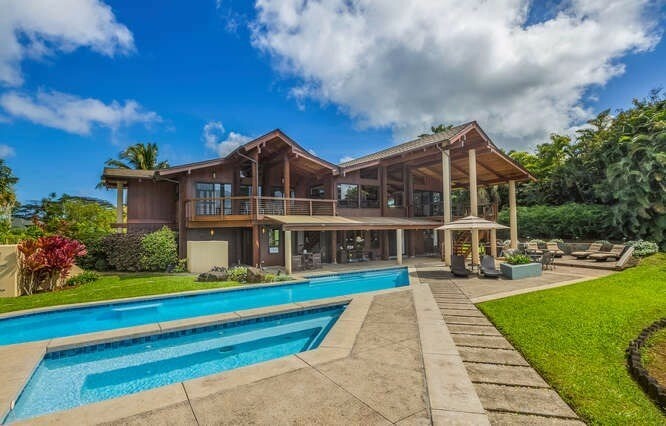 Multiple lanai's provide for a perfect home for entertaining. Dramatic outdoor shower, outdoor grill and much more.Everything is top of the line. The attention to detail and the craftsmanship cannot be articulated, it must be seen in person. . The home is being sold fully furnished with incredible designer pieces. 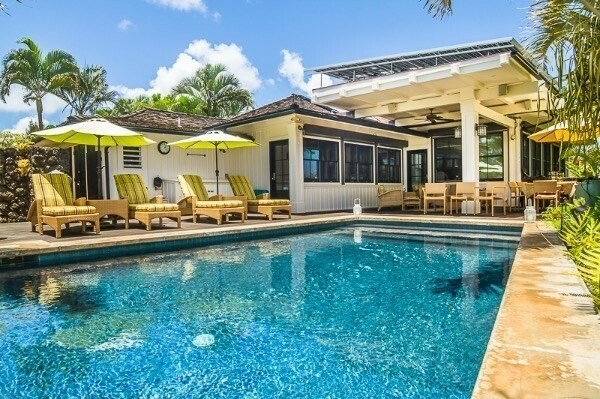 Plumeria Hale at 5295 Poki'i Lane is a full-scale, top-to-bottom remodel that presents as a brand-new residence, of which there are few in Princeville. The extensive renovation includes a reconfigured floorplan, all new electrical and plumbing, new finishes, appliances, flooring, roof and paint. The open spacious living area encompasses a smart kitchen and pantry with an Italian Carrara Marble island, leathered Brazilian Uba Tuba Granite counters along with stainless steel appliances including a gas range. The living spaces are floored with Acacia, have open beam ceilings and wainscoting to add a plantation touch. 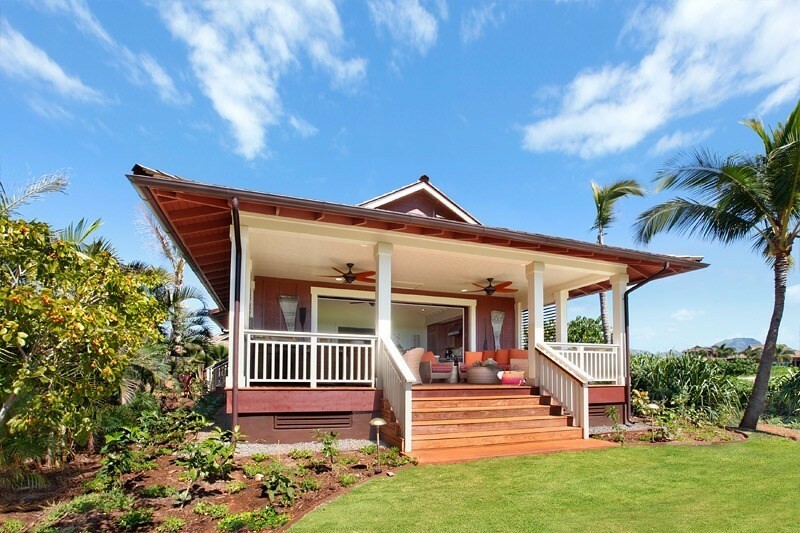 There are three Master Suites - all with Travertine double-sinks, large closets and Ipe decked lanai's. Some other features include a fourth guest bathroom, an attached 2-car garage, a tank-less gas on-demand water heater and double-hung windows. The property would be ideal as a primary residence, second-home and or vacation rental. 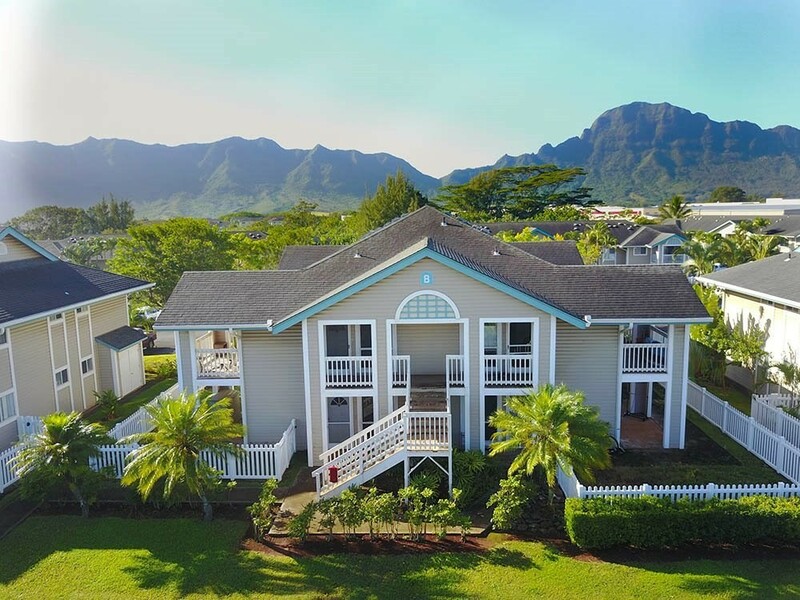 Located on a large corner lot with a dozen mature Plumeria Trees ringing the perimeter, it's walking distance to the tennis courts and restaurants at Hanalei Bay Resort. 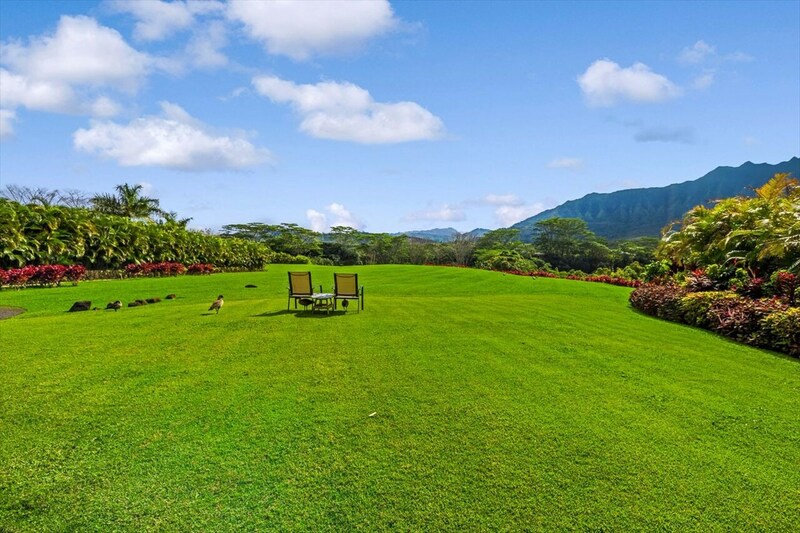 Princeville Makai Golf Course views and frontage in tranquil Emmalani Court. This easy to access downstairs unit provides opportunities for personal usage, long term and/or short term rentals. 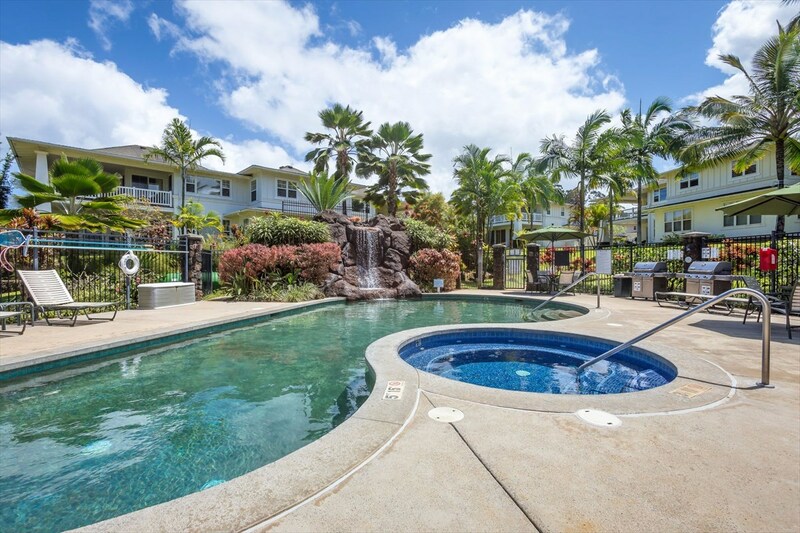 Emmalani Court is a hidden "Gem" within the ultra convenient Princeville Resort. This is a very well maintained and managed condominium complex. Great private pool clubhouse, swimming pool, Jacuzzi, along with BBQ and toy storage areas all add to the Emmalani Court experience. 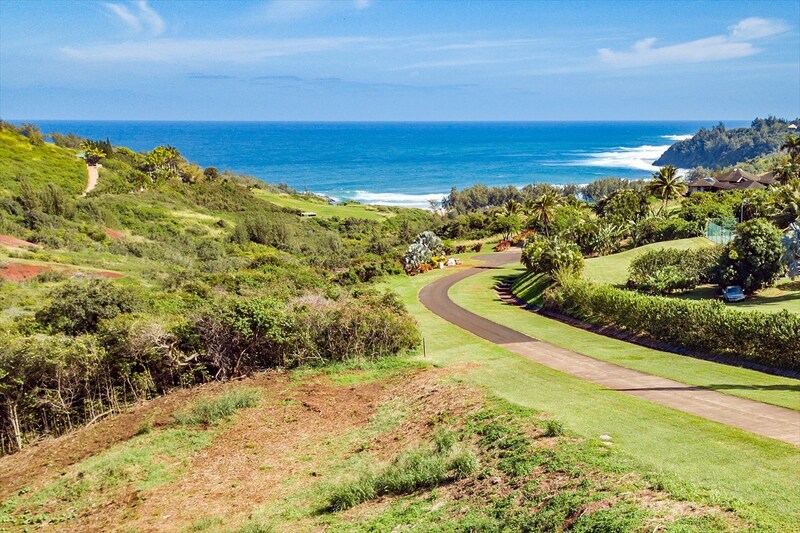 World class golf, beaches, swimming and surfing are all with close proximity. Access to excellent dining and shopping are also within close reach, at the St. Regis Hotel, about half a mile away. The unit is currently tenant occupied. 48 hour notice preferred. The Plantation at Princeville is one of the newer Condo developments in Princeville. The kitchen has stainless steel appliances with granite counter tops. This quiet luxury fully furnished condominium has 3 bedrooms, and there are 3 full baths in the condo. The living room, dining room and kitchen all have vaulted ceilings. There is a large lanai for entertaining and outdoor dining. This complex has a swimming pool and spa with a full fitness center. This Condo has Air Conditioning and comes with a one car attached garage. 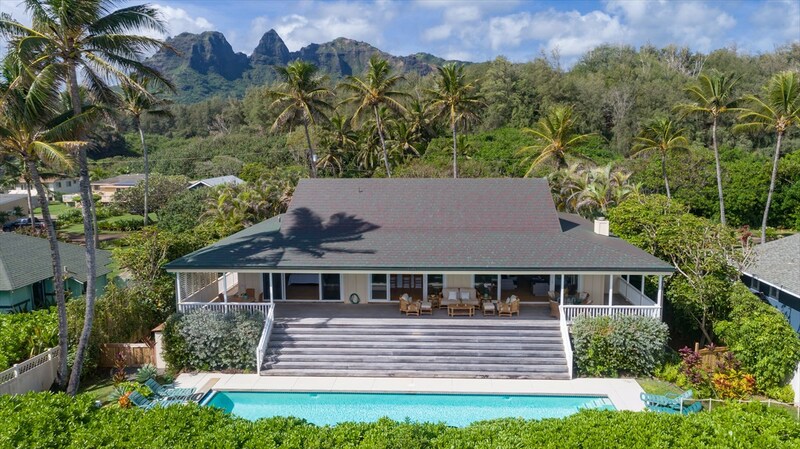 It is ideally located in a quiet area of Princeville and is near walking paths, restaurants and the Makai Golf Course and Tennis Club. 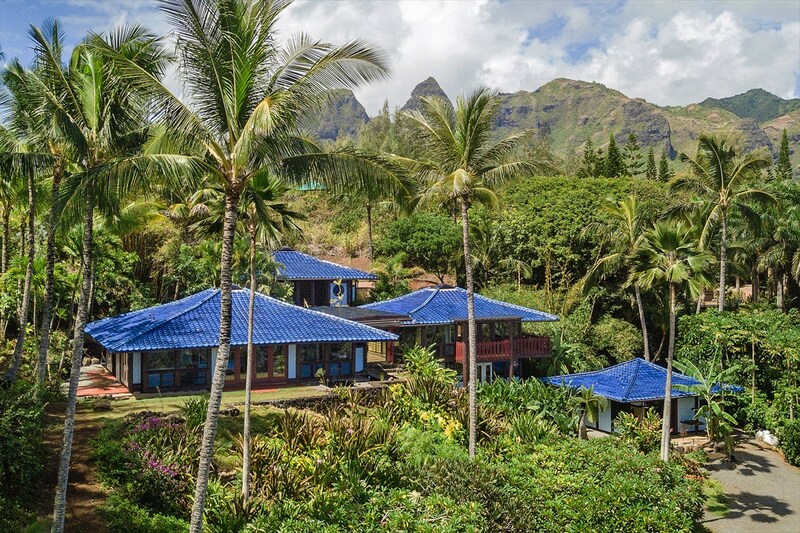 Ocean views including Hanalei Bay, mountains, waterfalls, and Bali Hai sunsets. 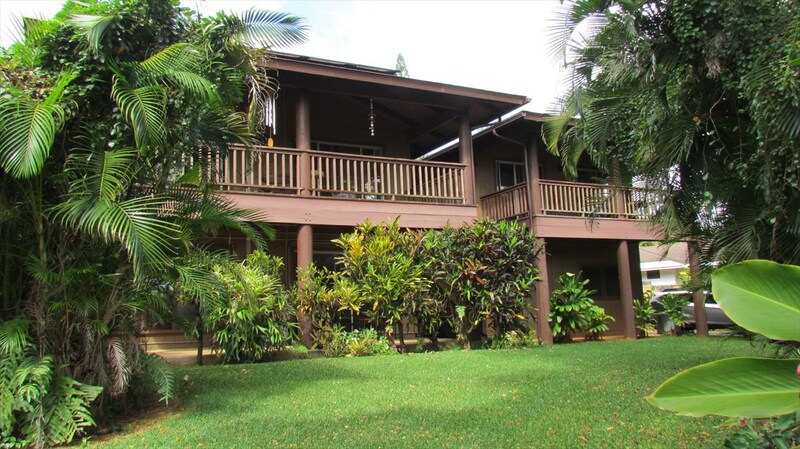 Located in quiet Unit 4, but close to Hanalei Bay Resort with all resort amenities. 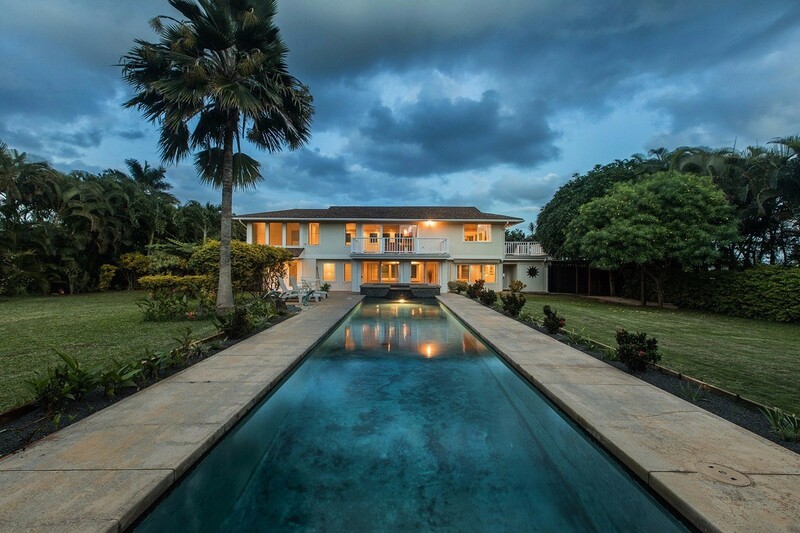 Spacious 4 bedroom, 3.5 baths executive home on 17,811 sq ft of fee simple land. Brand new swimming POOL with fenced deck/patio! 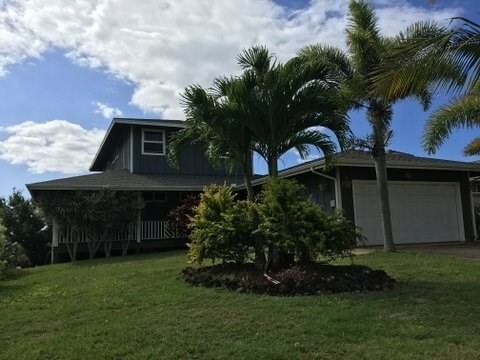 This fine home has been remodeled with granite counter tops, breakfast bar, new lanai and outside shower improvements, jacuzzi tub, large covered lanai on the second floor, security lighting, storage area, solar hot water, Japanese ceramic tile roofing and copper gutters. Must see! Fully furnished as per inventory. Large scale wood carvings included. Executive home with Asian design flair. Architect: Mark Eyler/Builder: Taylor Construction Inc. Home boarders vast open space owned by Princeville Community Association. 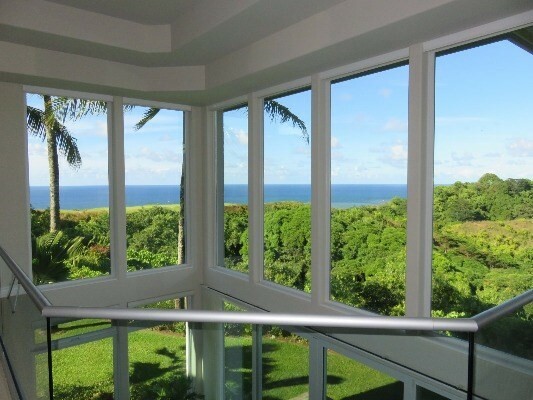 Unobstructed ocean and valley views. Overlook is tropical forest in the foreground and the blue Pacific in the distance. Exotic! Stylish swimming pool in private walled courtyard of approximately 1536 sq ft. Gourmet kitchen with connecting Butler's kitchen/pantry. Beautiful hard wood/marble floors through out. Top of the line fixtures and appliances. Active vacation rental. Buyer to honor existing vacation rental reservations. Prefer to sell unfurnished, but will negotiate. Artwork excluded. 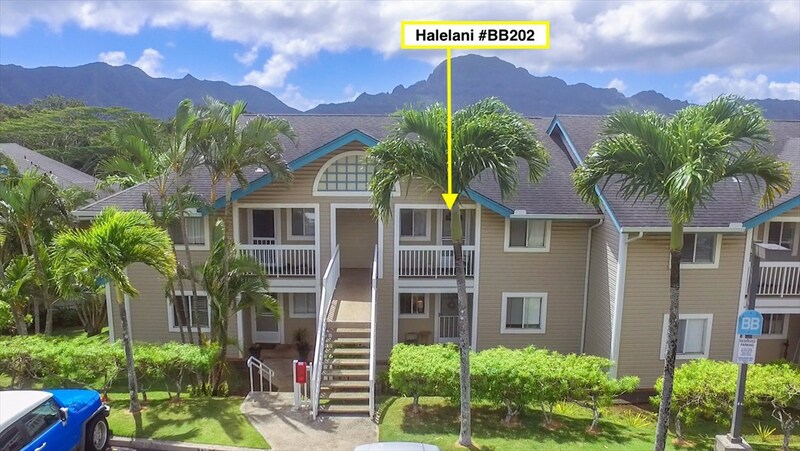 Updated and well maintained 2 bedroom, 1.5 bath unit in Halelani. This second floor, corner unit is located on the interior side of Building B. The unit features bamboo floor throughout with tile floors in Kitchen and Bathrooms and ceiling fans in every room. Beautiful distant mountain views from every room. 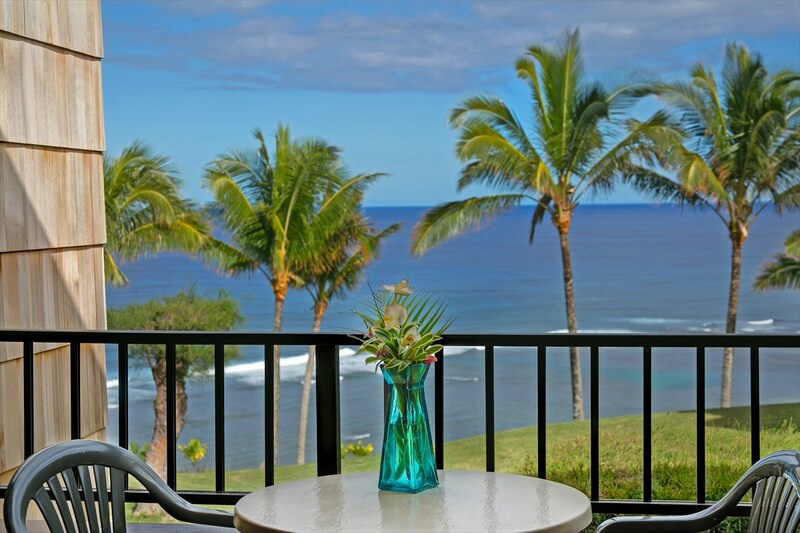 Relax and enjoy the views from your lanai. Conveniently located in Lihue. Close to shopping, hospital, parks, school, etc. Rim location top floor unit ideally situated to catch the cooling tradewinds well away from Puhi and Hanalima Roads. 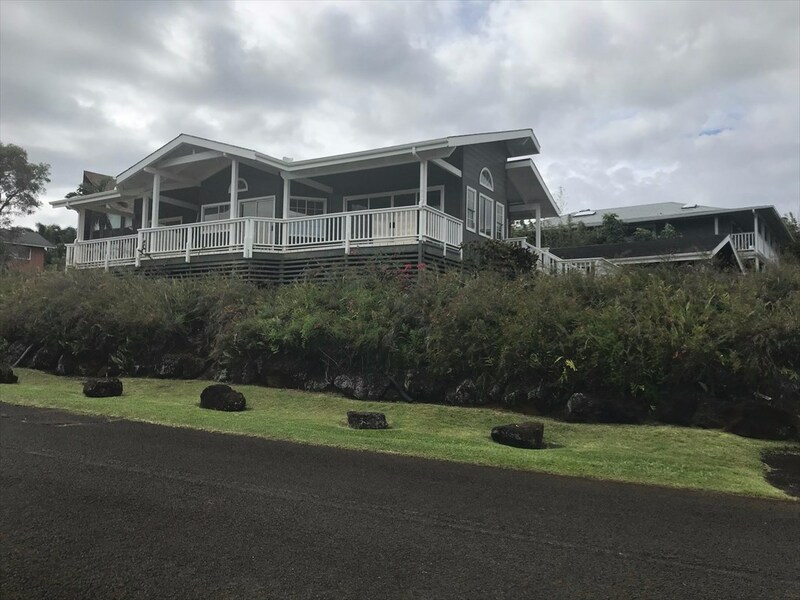 Good mountain views from living, lanai and master bedroom. Bamboo flooring in the living room and kitchen, soft carpet in the hall bedrooms, vinyl in the bathrooms. Covered lanai, washer/dryer, extra storage and ceiling fans. Open the front door, 2nd bedroom or kitchen window and the tradewinds flow right through help keeping the unit nice and cool. This is a very comfortable unit in a great location. Monthly Homeowners Association fee is $377.59. It includes water, trash, sewer, professional association management, weekly landscaping services, exterior building & all common area maintenance. Roof and building siding have been replaced. 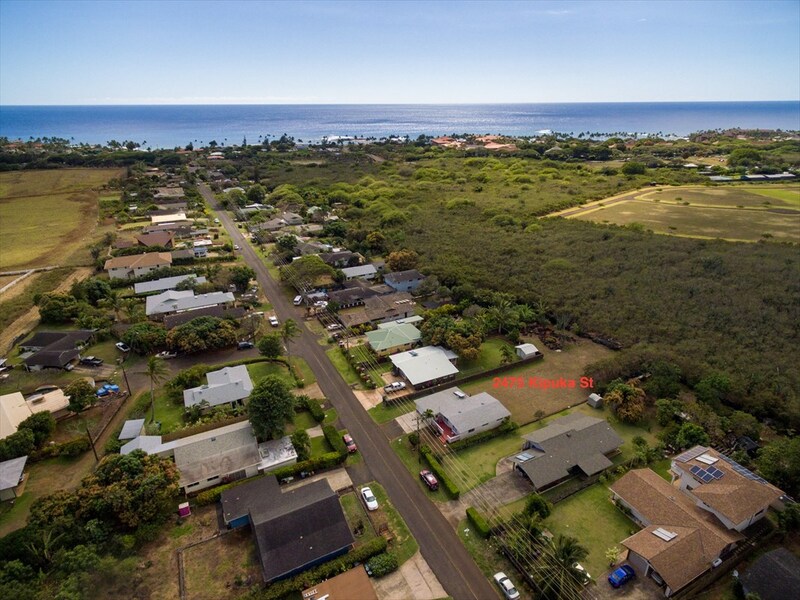 Close proximity to the amenities Lihue offers such as Costco, Home Depot, Hokulei Village/Safeway Shopping Center, Kukui Grove Mall, Puakea Golf Course, YMCA, KAC, Puhi Theater and KCC Performing Arts Center Etc. Currently tenant occupied. Please allow 24-48 hours notice for all showings. 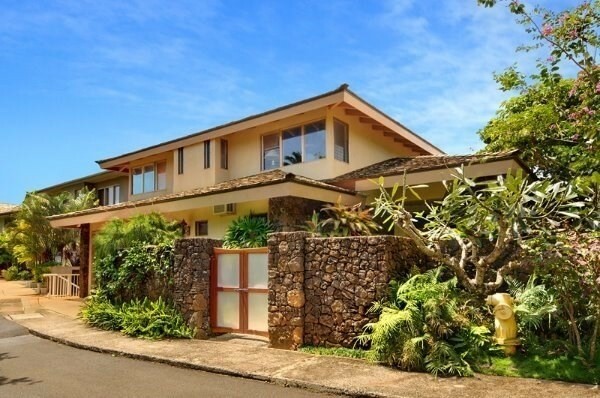 Owner/Seller holds an active Hawaii Real Estate License with SVC Hawaii, LLC.